Don’t forget the little white socks for Kutusita Nyanko! What could be happier than a field of clover full of wild kittens? Join Kutusita Nyanko and the happy blue bird on an adorable adventure! Kutusita Nyanko has found the four-leaf clover. Let’s share the happiness with the cute cats! Are you looking forward to Spring and frolicking in the warm weather like Kutusita Nyanko cats? Kutusita Nyanko brings you luck, happiness and kawaiiness in the new year! 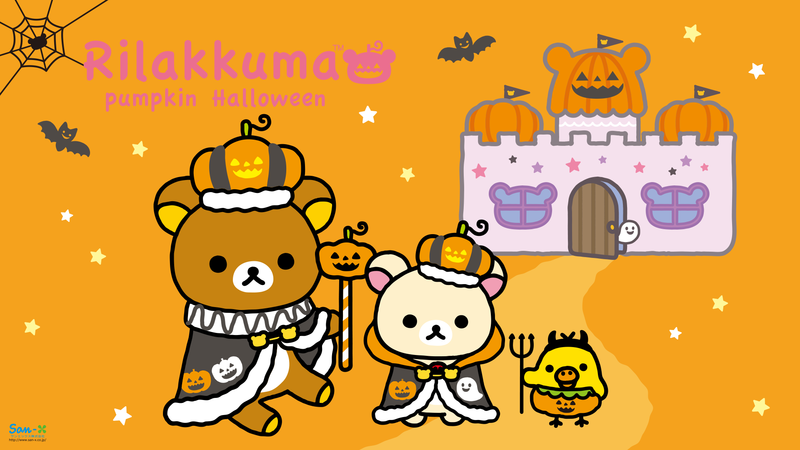 Wish you lots of spooky surprises and frightful fun on ‘Boo Day’! March on! It’s a festival of cats’ town today! 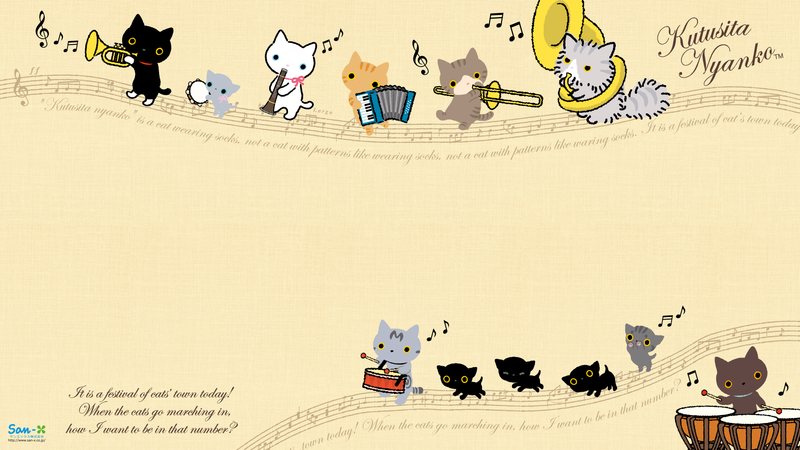 Kutusita Nyanko cats become the cutest music band. You’ll purr in delight as Kutusita Nyanko into your heart with these adorable animated designs. Kutusita Nyanko lucky cats welcome the new year and bring you good luck, fortune and success. 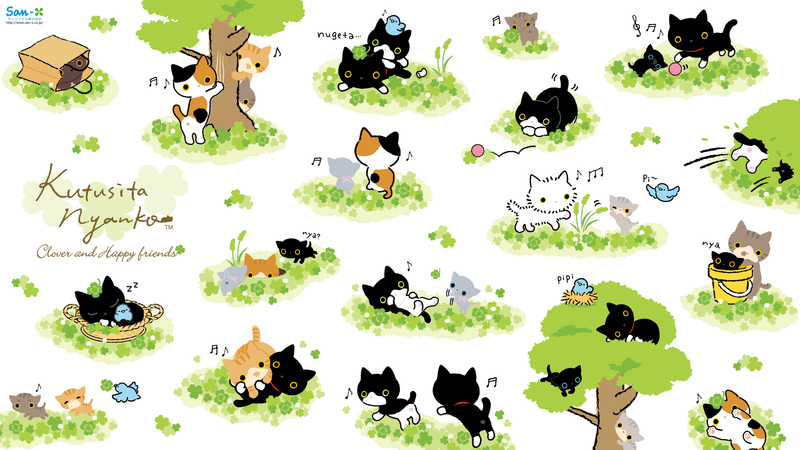 Look at these super adorable Kutusita Nyanko stamps, full of cute movement!